Shut up Time, why is this even a thing? "feminist: You have nothing against feminism itself, but when did it become a thing that every celebrity had to state their position on whether this word applies to them, like some politician declaring a party? Let’s stick to the issues and quit throwing this label around like ticker tape at a Susan B. Anthony parade." 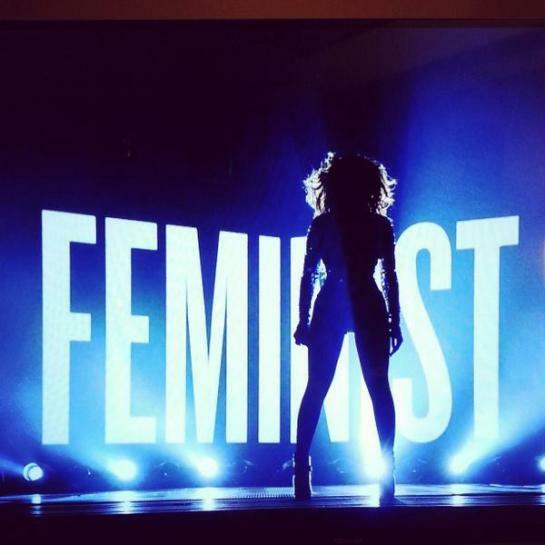 Since when is "feminist" a "thing" that should be derided in the breath as "bae," "literally" and "obvi'? That it is reveals the author to be sophomoric, shallow and completely missing out on all points. It reveals the author to be someone willfully ignorant and derisive of history and struggles and injustices, past and present. I mean, seriously, how is this even a discussion? Because it will probably always be a discussion among small-minded people and those who don't truly grasp the history and significance of the word. (And Courtney Love, too, of course). "Maybe it’s not a big deal that young women don’t want to use the F word – maybe it’s outdated, maybe its connotations don’t resonate, maybe there’s another word that better defines what it is we are and what we do. That’s not to say I won’t still call myself a feminist — I am one, I always will be one, even when I don’t think about it all the time. That said, I won’t get freaked out when some woman 20 years (or younger) my junior speak a different cultural language of change (maybe it’s similar to how I cringe at the word “lady” or “ma’am” in certain contexts) at least not as long as she’s actually out there living the life." "I'll stop "throwing this label around" when the pay gap disappears, when mothers aren't systematically punished in the workplace for caring for children, when men can access paternity leave freely, when women aren't asked what they were wearing before getting raped." Perfectly said and, accordingly, here's me giving zero fucks about this controversy. Because "feminist" is not a trendy word, it's a social, cultural and political movement that's far from over or outdated. Submitted by Joyful Girl (not verified) on Thu, 11/13/2014 - 6:59pm.